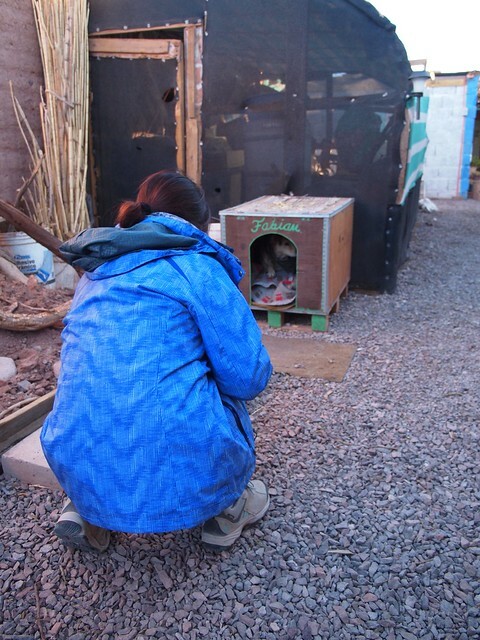 An hour after departing Bolivia, we rolled into the town of San Pedro de Atacama. The Chilean immigration was located at the edge of the town and the customs guys were pretty thorough in making sure that no agricultural products were being brought into Chile. The bus driver dropped half of the passengers near the central area and we said our goodbyes to Kelli and Johannes. 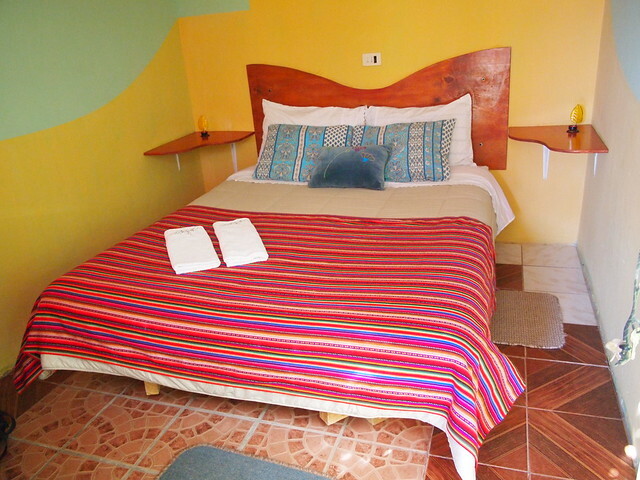 The rest were dropped off nearer to their accommodation and the friendly bus driver made sure that we reached our accommodation at La Casa EcoExplor. We had booked the accommodation with Booking.com for three nights at 29,500 CLP (67 SGD) per night (tax included). Chile was definitely more expensive than Peru and Bolivia. The friendly owner Victor checked us in and showed us the place. While our room was quite small, the outside was quite comfortable with many area to lounge around. There was a kitchen where one could cook but we didn’t utilize it during the stay. We also got our laundry done at a pretty reasonable cost. The bathrooms were shared but they were always kept clean and dry. Both of us really enjoyed the warm showers after roughing it out in the Bolivian altiplano for the last couple of days. We also got reconnected with the pretty stable wifi connection throughout the compound. Location-wise, the accommodation was around 700m away from the centre of the town and it usually took us around 10 minutes’ walk to get there. It was quieter without the foot traffic of the centre although we could faintly hear noises from some parties on one of the weekend nights. 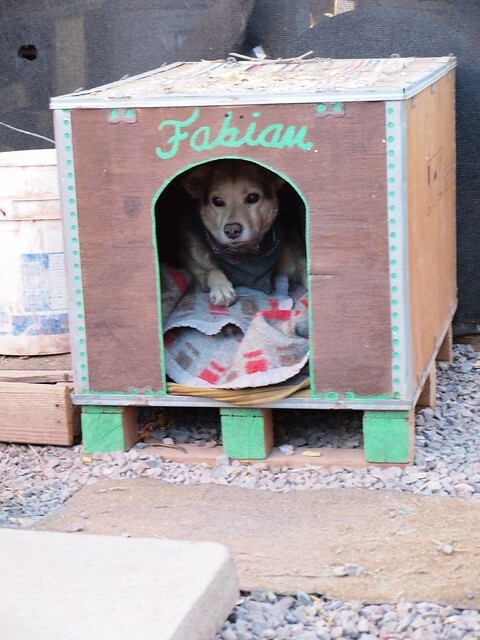 Fabian is Victor’s pet dog and we identified him with his scarf. He got really friendly with Ying and even snuggled up to her. Our three-night stay was pretty comfortable. 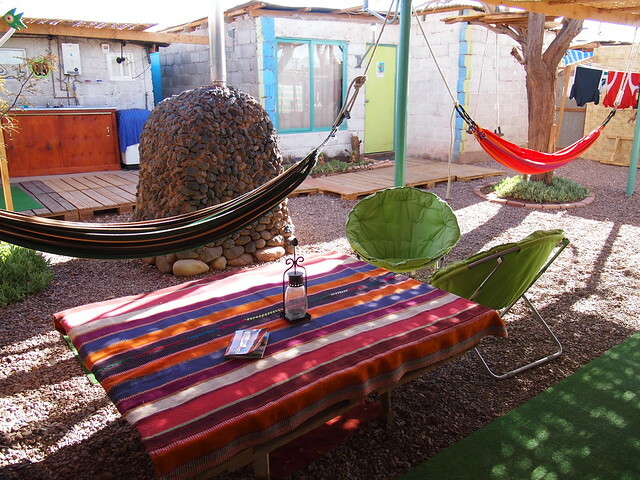 We recovered from our Salar de Uyuni tour and were well-rested by the time we departed San Pedro de Atacama for Salta. 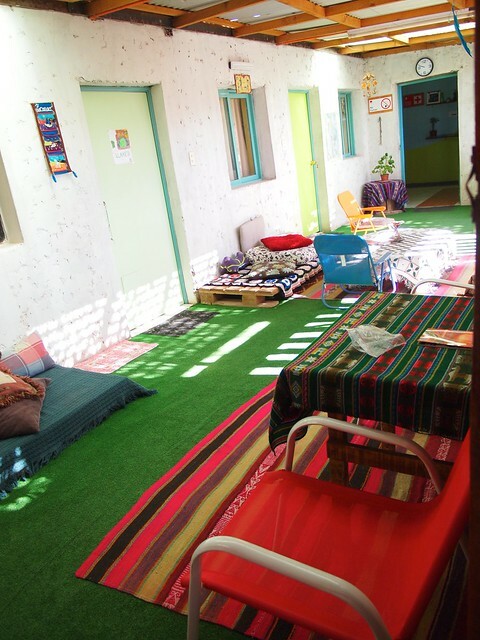 This entry was posted in Chile and tagged Accommodation, Chile, ExoExplor, San Pedro de Atacama. Bookmark the permalink.